We all need to believe in something, that’s how our human brain works. As children, from the moment we start to be aware of ourselves, of all the things and people around us and we understand our place in this world, we copy and assimilate beliefs, behaviors and attitudes about anything that we come in contact with. Therefore, in order to end up being happy, fulfilled grownups, we need good models with healthy personalities. And who are these models at the beginning of our journey in life? Our caretakers. It’s either parents, siblings, grandparents or sometimes adoptive families or foster parents. It doesn’t really matter which one of them it is, the quality of the relationship is the one that will shape us into adults. Some children are lucky, they’re born in good families that offer them all they need to develop into strong and happy individuals. And by that I mean knowledge, emotional and material needs. Other children, and unfortunately too many these days, are not that lucky. Life gives them inappropriate, careless, uneducated, uninformed, destructive or simply unlucky models. And it’s nobody’s fault. We cannot blame someone for this. Of course we all make choices in life, but when we decide to do one thing or another, we do so influenced by our experiences, by all the things we know so far. In the end a bad model is the result of another bad model which is the result of yet another one. So the problem is that destructive behavior perpetuates and we know we can’t blame a person or a specific entity of any kind because we’re talking about multiple and varied factors. If we take a moment and think about it, we know how this affects a child, a family, a community, a country, a species... a planet. This is why we should care - it’s about us as a species, it’s not about one person or one community. We’re all connected, and if we think bigger, it is about our planet and all the living things on it. Bad behaviors and bad models affect more than their close people and immediate environment. So what do we do? We do anything that stands in our power to change things for the better. And finally, how do we do it? That is the question. 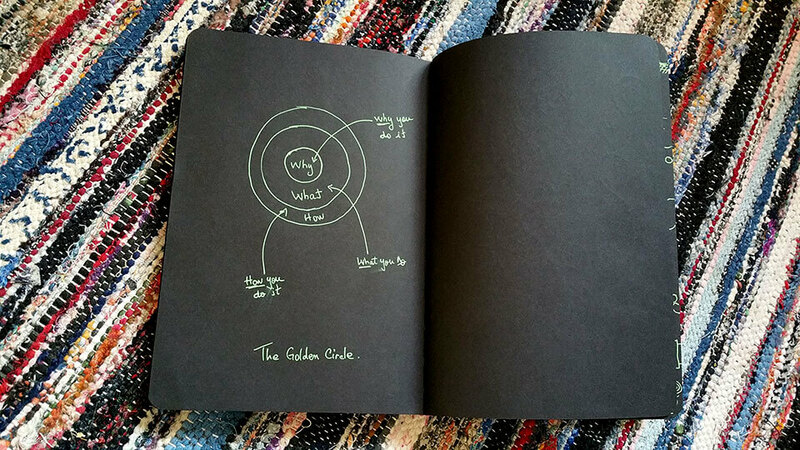 The Golden Circle by Simon Sinek - Why, What and How. 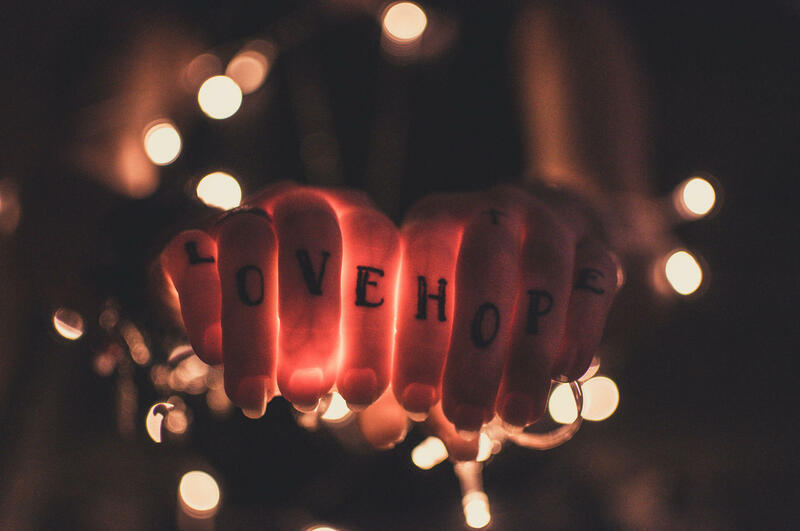 To answer this question, I chose an example of some very special people who care enough so that they dedicated their lives to change the world - the people from Bethany Foundation of Social Services. I met them in the summer of 2016 when we decided to participate in Swimathon. My colleagues wanted to swim for a good cause and we started browsing the projects we could raise money for. We didn’t have any idea about any of them, but Bethany’s project stood out, we liked its description because somehow we felt we were on the same page. So we choose them. The second day a very nice lady called me to thank me for our decision. She was super excited and genuinely happy. It was Andreea from Bethany, the girl that was in charge of their project’s participation in Swimathon. The swimming contest was a success, we raised the amount of money that we promised. But more importantly, we started a special and honest relationship with these people from Bethany. There are many foundations and associations which do all sorts of things for the people, but many of them have other goals than the ones they communicate and you don’t really know who to trust. But with these guys from Bethany it’s a different story, you just know their intentions are genuine, they help because they actually care, they feel it’s their life purpose, their passion, their ”why”. You can see it in their eyes. So we decided to support them as often and as much as we can. When Swimathon ended, Andreea called me to thank us for our help and she also told me about other projects they had. One of them caught my attention: ”You can be Santa Claus”. 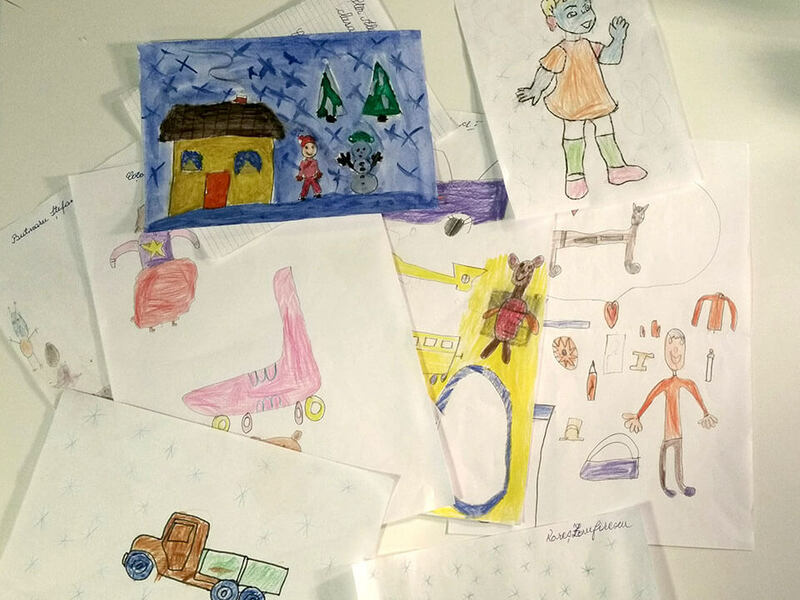 And it goes like this: children from poorly developed villages in Iași County write (or draw, because they’re too young to write) letters to Santa Claus telling him what they want for Christmas. These letters go to people who want to make a child’s wish come true. And the rest is magic.It was indeed the month of July, but I almost begged Andreea to call me the moment they start the campaign. Last December we were Santas for the second time. And we asked for twice as many letters as last year because some colleagues of mine wanted to make more than one child happy for Christmas. It’s an emotional experience to actually read an intimate letter of a child to Santa. They are sincere and excited, they’re hopeful, modest and daring, impatient, caring and innocent. These children don’t have much, and I’m not talking only about material things, there are other aspects in their lives that are not so peachy - some of them even write about their family problems. And nowadays when the modern child wants the last iPhone model, these children ask Santa for shoes and bananas. Sometimes not even for themselves, but for their younger siblings. We went in these communities to bring the presents to the children, telling them of course that we were Santa’s helpers. I really cannot describe this experience using only words. To see them all there, waiting, with their best clothes on, singing Christmas carols, so nervous and so shy, it’s something you have to live to understand the feeling. 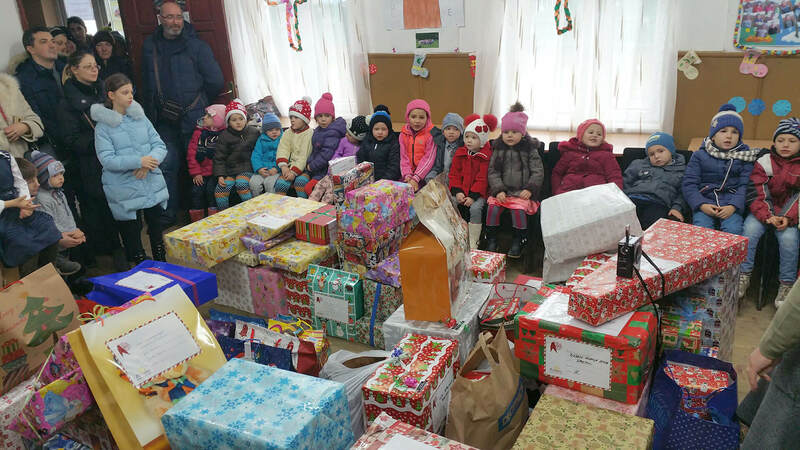 I didn’t have the chance to ask the people from Bethany how they got to this idea of making Christmas presents to children who most probably don’t usually get something from Santa. But it’s obviously more to this. It’s not the toys, sweets or clothes that matter the most, it’s the fact that these children start to believe in something. They believe that if they share their wishes, it is possible they’re going to come true. These children now dare to dream and imagine a better world. They dream of something more than what they see every day. Most of them didn’t even know it was possible to do or have more. And one will only change something as long as they know that’s an option, right? I will go further with this idea and say that these children have new models now - of listening to someone’s needs, of caring, love, helping and sharing. So our friends from Bethany Foundation of Social Services help us help others. They help caring people who found their why to be models for these children who need it the most. Thank you for giving us a what and how!